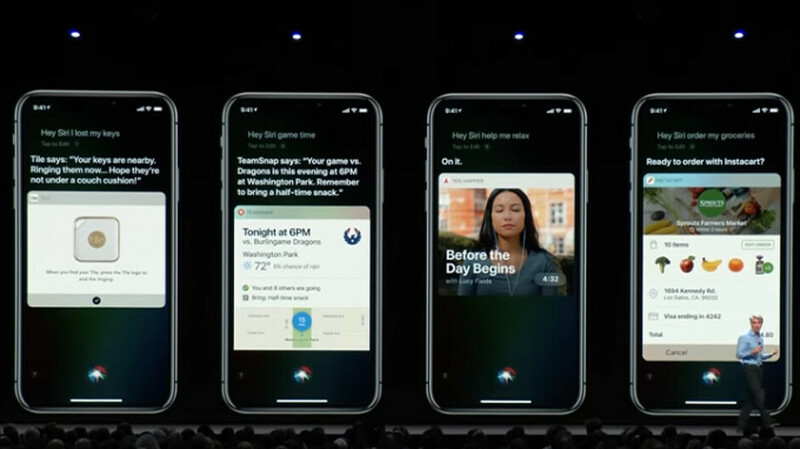 The new iOS shortcut gives iOS users the ability to set up a chain of events for iPhone to follow, enabled by saying a simple phrase to Siri. For example, say "Siri, I'm on my way home", and Siri can adjust your thermostat to reflect the fact that you like to live in a meat freezer. At the same time, a text can be sent to the mist that tells her to start dinner so that it gets ready as soon as you walk through your front door. You can also make sure that a particular radio station is streaming over your handset while Apple Maps opens to help guide you home through the evening commute. 2 Shortcuts app. During the period when iOS 12 was in beta, only developers had access to the shortcut app. This means that next week, when iOS 12 finally starts, users will get their first handy experience with the app. The final version of shortcuts includes new actions that were not offered in the beta version of the app. Apple will disseminate iOS 12 as of 10:00 PDT (1.00 EDT) this way September 17th. New features include Memoji, which are animated emoji-box creations that look and move like you, and the new Screen Time feature. The latter tracks your iPhone and iPad usage (and children's use too), while allowing you to cloak how much time some apps can be used every day. IOS 12 also adds four new Animoji (Koala, Tiger, Ghost or T. Rex), and when it's finally released later this year, Group FaceTime will allow as many as 32 users to chat with each other at the same time. While Apple released the final version of the Shortcuts app today, it will not be available until iOS 12 is released in three days.